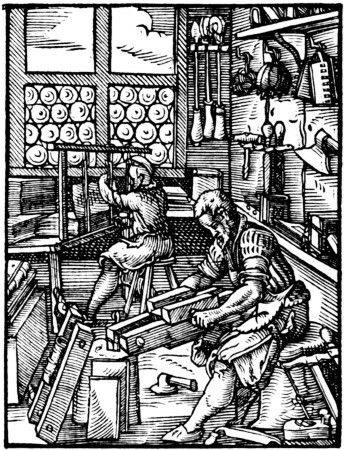 Bookbinders were initially slow to adapt to the changes brought on by the adoption of printing in Europe; however, by the end of the 15th century parchment had given way to paper leaves and towards the middle of the 16th century English binders had made the transition from wood to paper-based boards. The introduction of the plough coincides with the use of paper based books. Fig. 2. Prior to that book edges were either left un-cut, or they were trimmed with the use of a draw-knife. 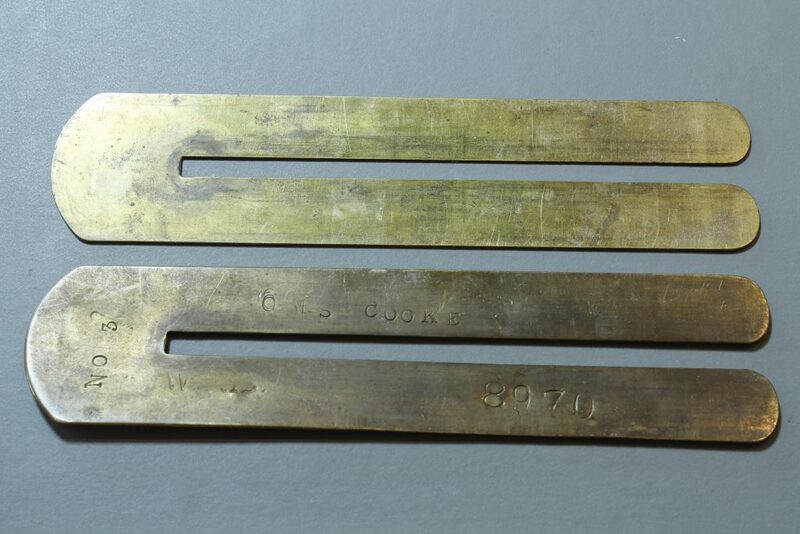 The traditional method for trimming the edges with a plough was to cut the leaves in-boards: the boards and the edges of the text-block were cut simultaneously, once the text-block had been rounded and after the boards were laced on. Ploughing edges is a technique still used today, though the practice of ploughing in-boards, is now very rare, even amongst craft bookbinders. 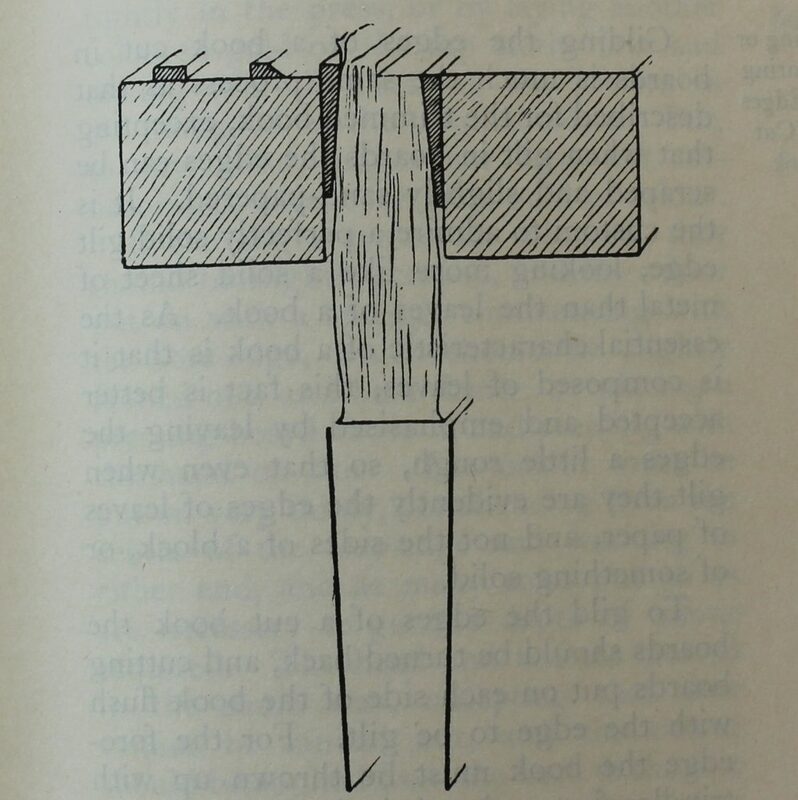 Cutting the fore-edge of the text-block requires the use of trindles. Figs. 4&5. The process is rather fiddly; it involves inserting trindles around the two outermost supports. The boards are opened right back then the tines of the trindles are inserted around the supports and through the joints (between the text-block and the boards). 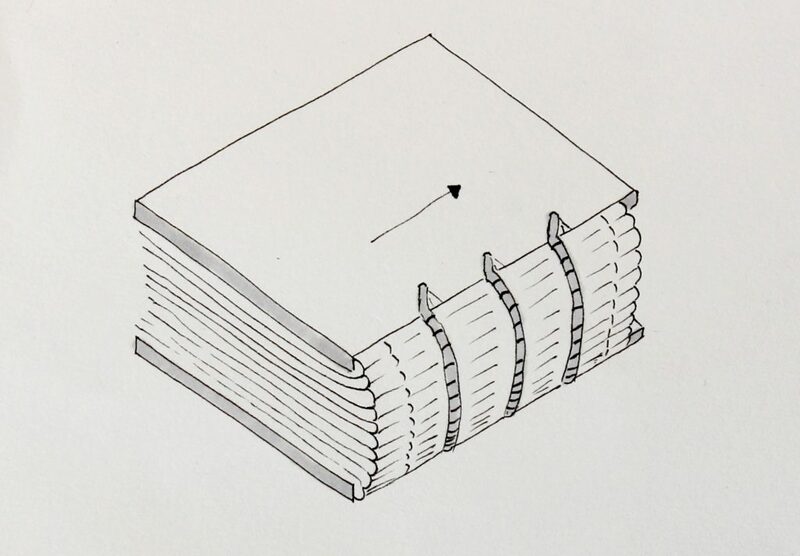 This forces the rounded spine back into a flat position, thus flattening the fore-edge. 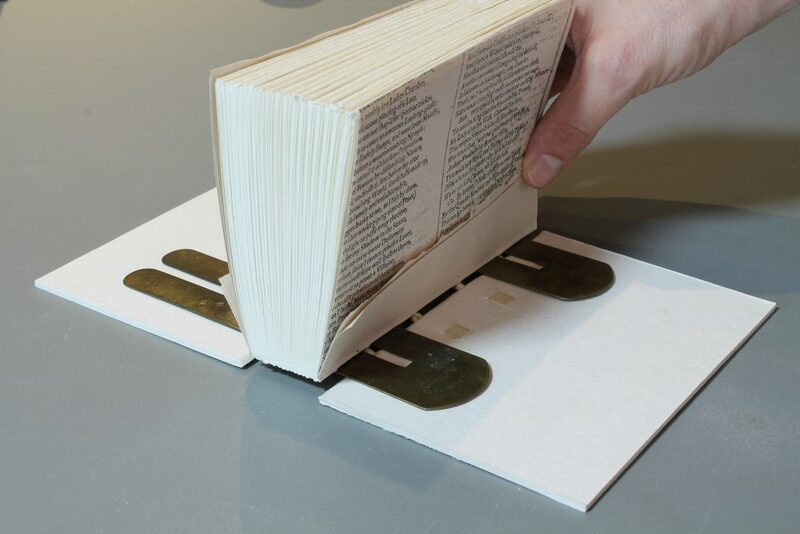 Once the book is in position – and held tightly between boards – the trindles can then be removed. The fore-edge of the board is cut to size separately, this can be done either before or after the fore-edge of the leaves has been trimmed. In the 19th and 20th century iron pins were replaced by mass produced brass trindles. These are in-fact brass button polishers, used by the military and other uniformed trades to guard the garment whilst polishing. My set of trindles have the owner’s name and service number hand stamped on them and are possibly from the first world war. Fig. 1. I am pleased to announce that after further research on the subject, a more comprehensive version of my blog on trimming edges in-boards has been accepted for publication. Because of this, the original blog was amended on 13th July 2018 and replaced with a shortened version. Further information about the publication of my essay will be announced in due course. Well done summary. What is the thickness of your trindles? Thanks for the positive response. Since posting the blog i have come across a few more references so will be publishing a revised version soon. My Set of trindles is 0.7mm There are quite a few on eBay! I am glad you found it useful, thanks.